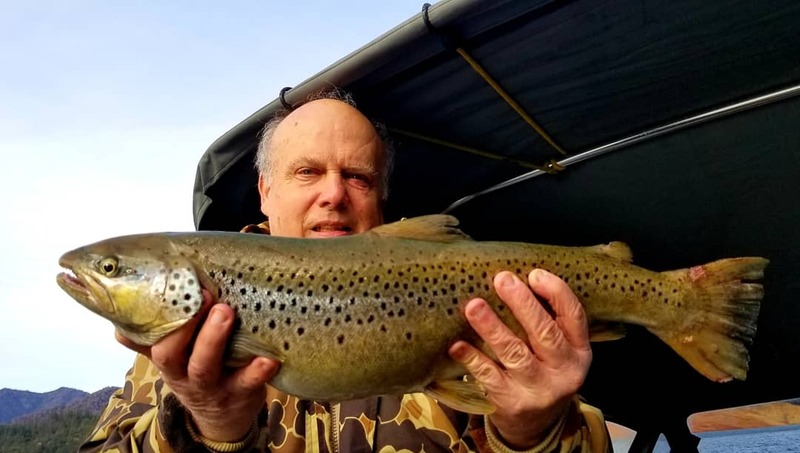 12/12/18 - Shasta Lake gave up a smorgasbord of fat piggy fish for my client Greg today. 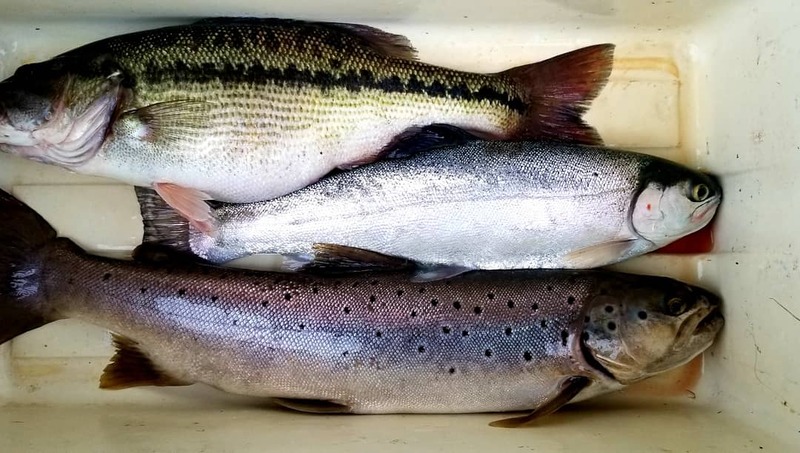 The spotted bass were biting great early in the morning and the trout were not so we caught our limits in probably an hour. Trolling small plastic swim baits at 90 feet did the trick. Boom boom boom the bass are gorging on baby shad like everything else in the lake right now. These are fantastic eating deep fried mmmmm. The Trout bite was tough but we were rewarded with some great Browns and a Rainbow. That is kinda how it goes when you hunting for high Browns you might get some you might not but when you do your glad you kept after them. They fight like no other Trout!